There’s more than one way to light a scene! The following photos were taken within about a 15 minute window- just in the few golden moments at the start of a sunset. There were some changes in light as I went along, but most of the differences between these photos are the result of changing exposure in-camera, and adding off-camera flash. I made very few modifications in photoshop- I cropped slightly, cloned out an ugly electrical line, and added a bit of saturation to enhance the sunset, but otherwise the lighting differences are Straight-out-of-camera. 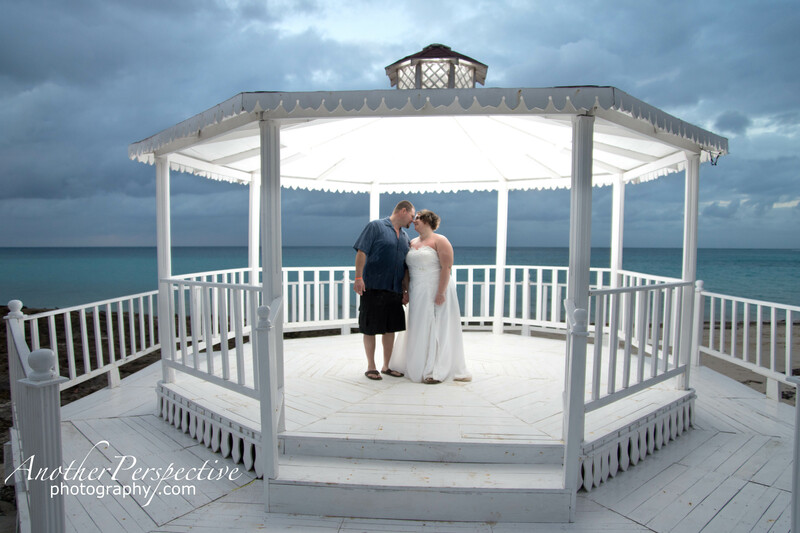 This first image brings out the beautiful cyan hues of the ocean, and is all about a wedding on the beach. In the photo above, however, the couple isn’t well lit, so I added an off-camera flash for a different look. 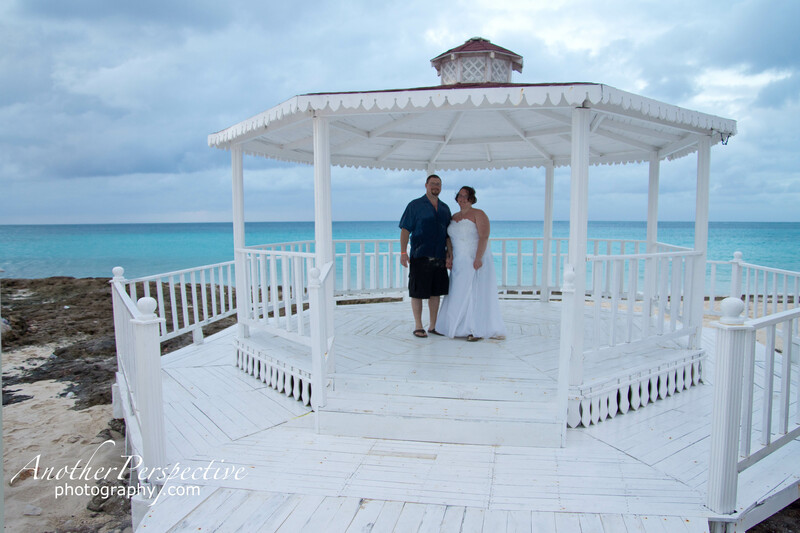 You can still see the cyans of the ocean, but the bride & groom are more the focus of the image. 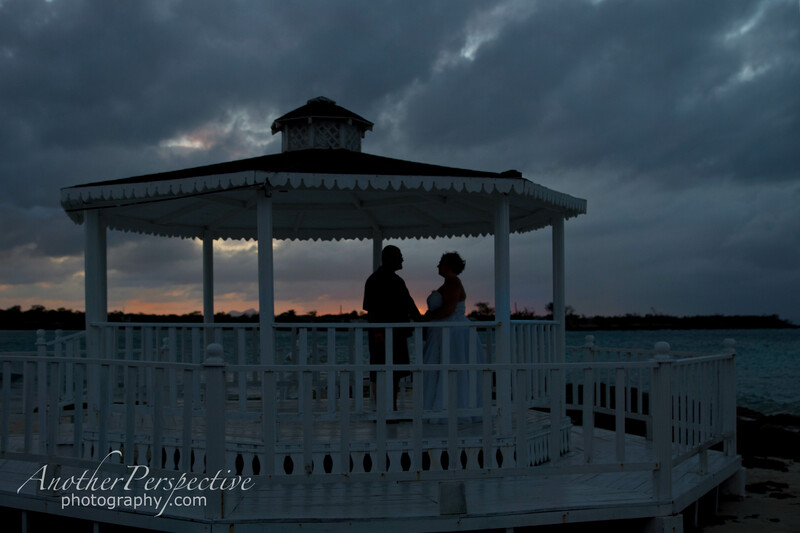 Here you can still see some details of the couple, the gazebo, and the ocean behind, with only the beginning hues of the sunset. 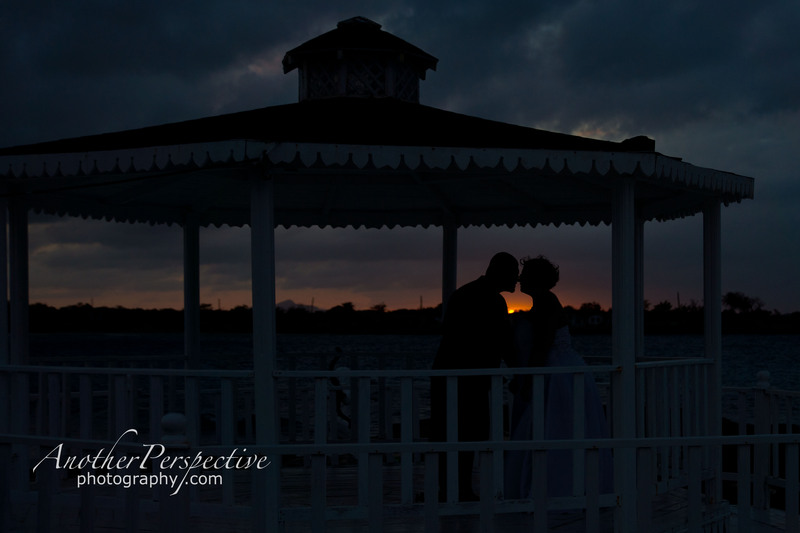 Simply by increasing my shutter speed, this turned into a silhouette with an intense sunset behind. In this one, my settings were the same, but I moved myself just slightly to find the best angle for the colours and light. 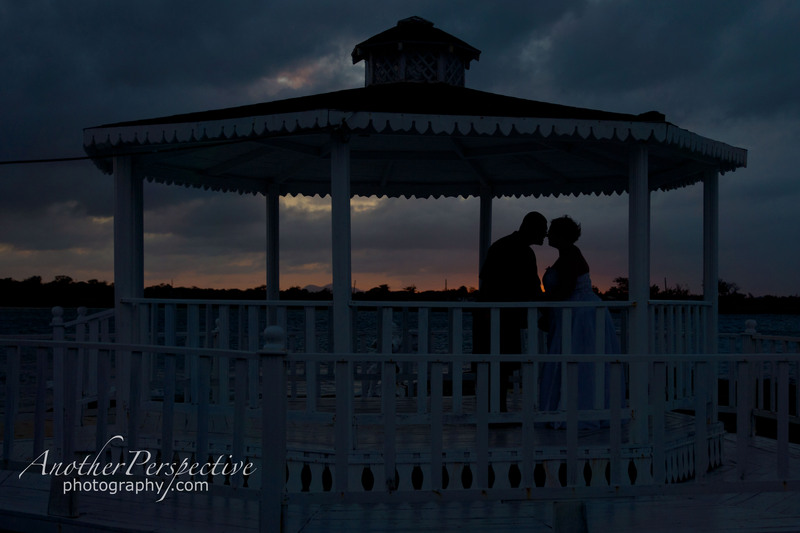 Adding off-camera flash in a gazebo with a white ceiling, perfect for reflecting the light, creates an image with focus on the bride & groom, but also allows the definition and colour of the sunset behind them. I love the creative freedom that comes from changing light! 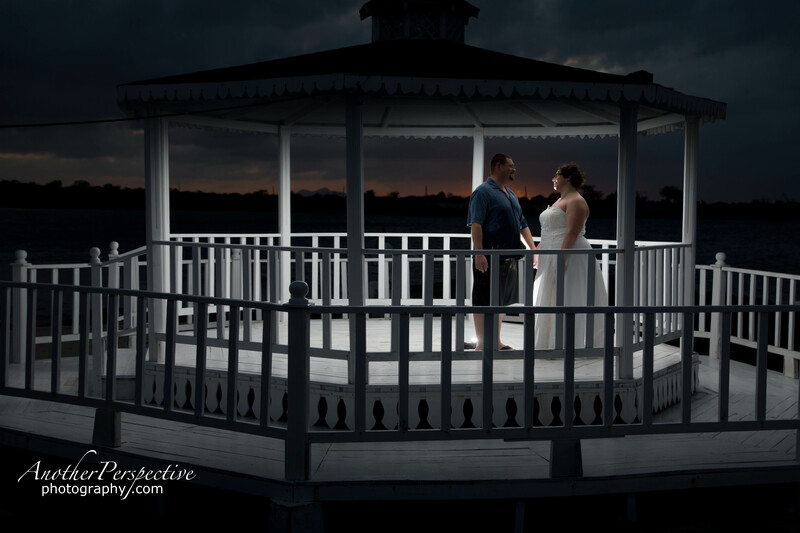 Do you have a lighting preference among these images?